If your little ones are at school or nursery, you can’t have missed that this Thursday 6th is World Book Day. How lovely, you might think at first; a day celebrating and encouraging literacy, reading together and enjoying books. That is, until the letter comes home from school informing you a costume is required for your little darling for this one day – help! This year, our nursery school has decided to combine both World Book Day with Comic Relief on Friday. 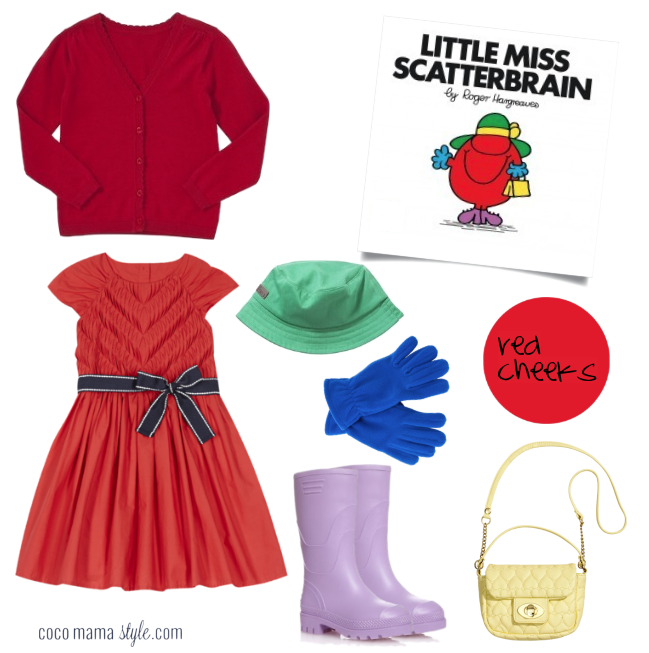 Not only is a book character costume required but a funny book at that. Our almost 4 year old immediately said (unsurprisingly) “Princess Anna! She’s funny!”. After explaining that didn’t really count because Frozen is a film – “no it’s a book too mummy, I have it” (cue eye roll) – I set about distracting her by suggesting other books. We settled on a Little Miss character in the end, specifically the most pink one- it was always going to be someone which involved a lot of pink. 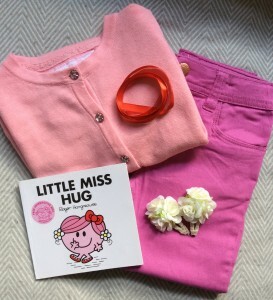 A pink cardigan, jeans, her regular nursery shoes and a red bow and daisy clips later and we had her ‘costume’ sorted and handily she needed some new bits for her capsule nursery wardrobe anyway. Result! The best thing about Mr Men and Little Miss characters? 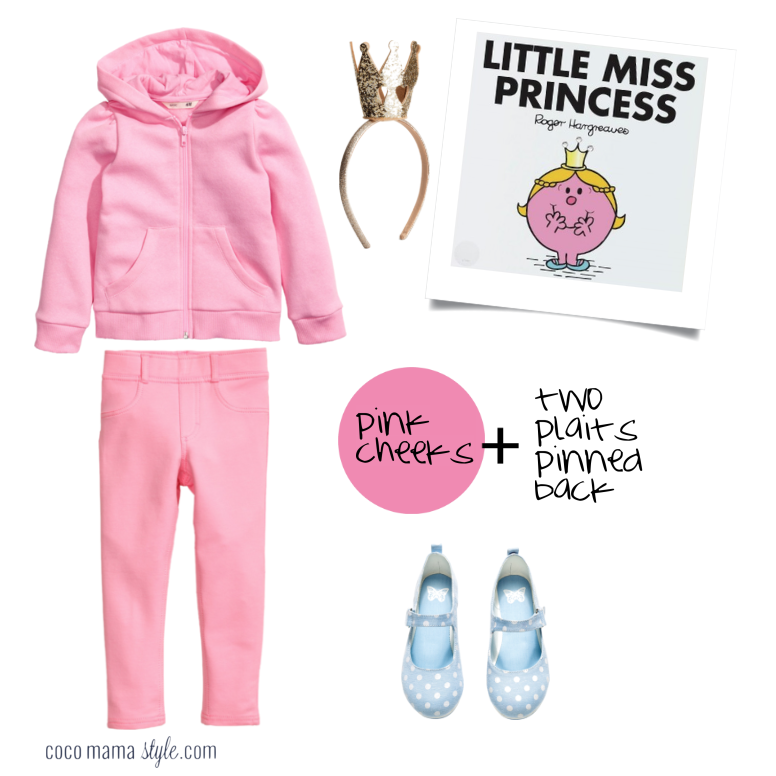 They’re nearly all just one colour top to toe, so they’re easy to replicate and you may already have most of the outfit in your child’s wardrobe and any additions are so wearable they won’t just be bought for one use. 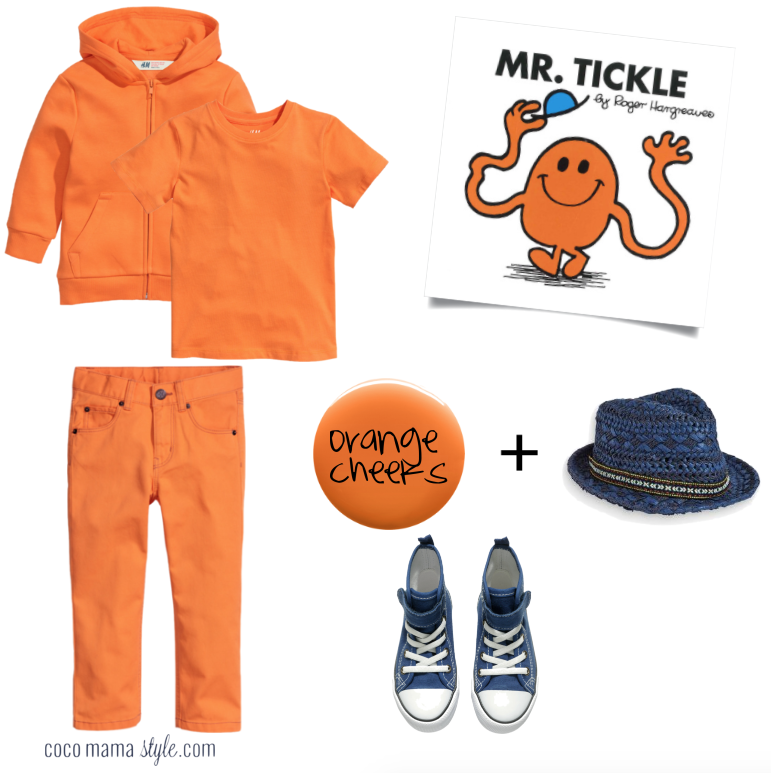 With this in mind here are my top 5 Mr Men & Little Miss outfits for World Book Day for boys and girls. 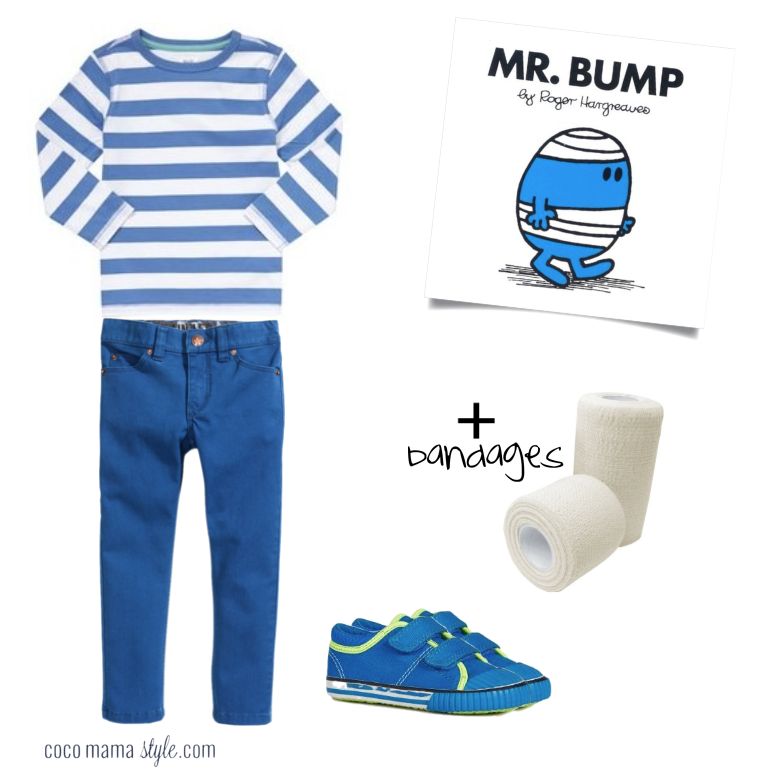 T-shirt, F+F @ Tesco | Jeans, H&M | Trainers, Next | Bandages, your first aid box! What’s your child wearing for World Book Day? Do share your DIY costume tips below! 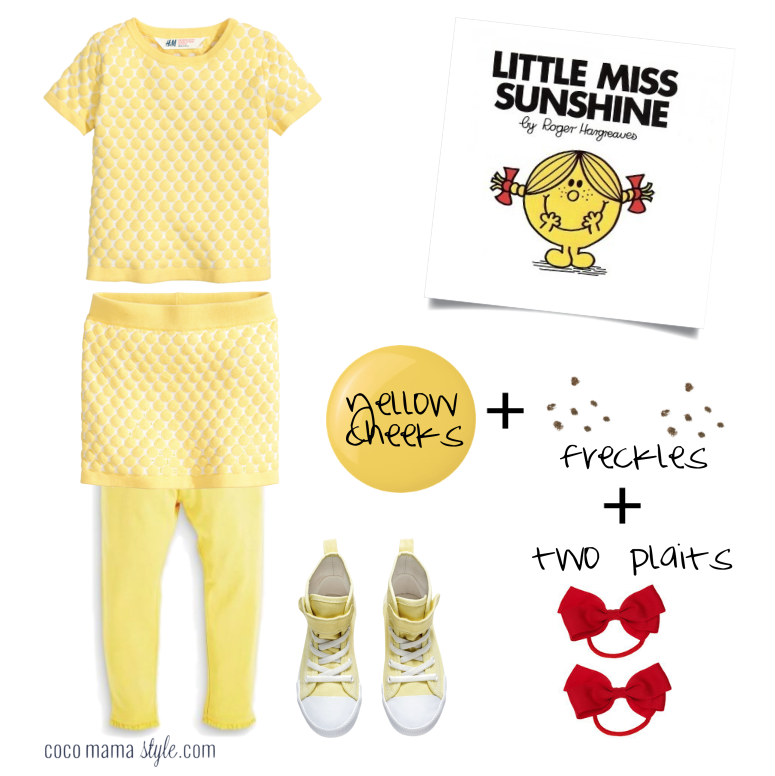 In Mamas Wardrobe recently posted…Joes Browns: SS15 Top Picks & A Giveaway! How brilliant, love the simplicity of these. What beautiful colours for kids to wear as well – great inspiration for future book days.